Lately we’ve been talking about infrared imaging and how it can uncover air leaks throughout a home. Infrared imaging, also known as thermal imaging, visually identifies areas of air leakage and cold spots in a home’s walls or ceilings. Captured with an infrared camera or on infrared video, these images can pinpoint problem areas where a home may be losing energy. Recently we spoke with a homeowner who assumed their home had a water leak. 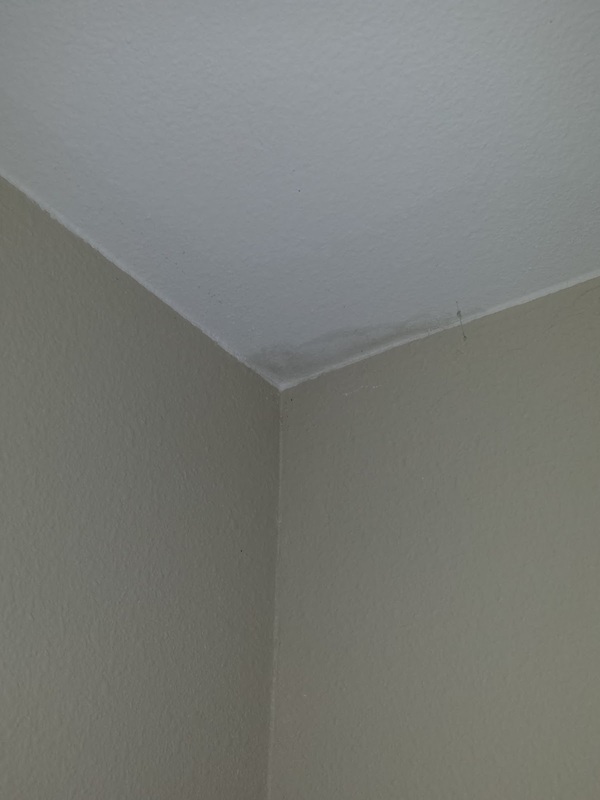 Drywall in a ceiling corner had moisture damage (as indicated in the photo). The homeowner, as most homeowners do due to the amount of water involved, attributed this to a roof leak. Through infrared imaging, we were able to diagnose the true cause. 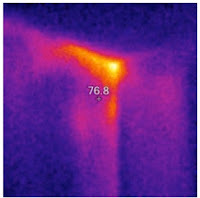 A thermal image of the top plates in this area identified significant cold air infiltration and a direct connection to the attic space. This cold air infiltration will cause condensation on drywall and create damaged areas just like the one shown in the photo. Our team was able to recommend proper air sealing techniques that not only stop this damage but also improve comfort and reduce energy bills. Have questions about a problem area in your home? Please call our office for answers to your building efficiency questions.